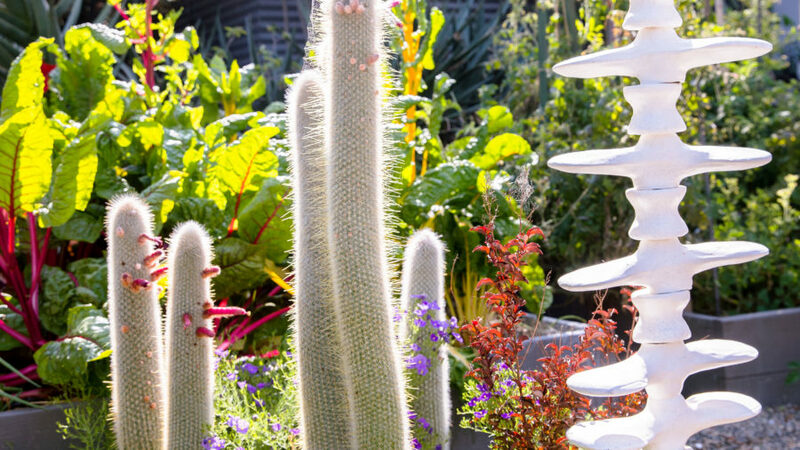 Nowhere is this more evident than in the nearly 9,000-square-foot lot surrounding Gimbel’s Long Beach home, about an hour south of Los Angeles. 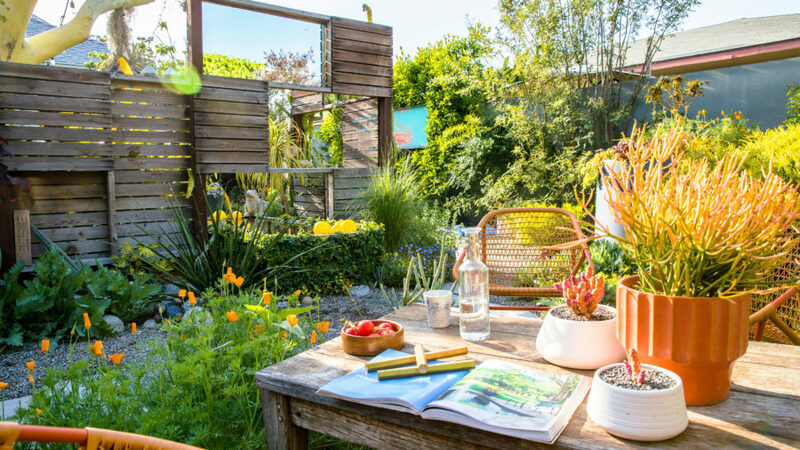 He uses hand-cast paths, privacy screens, brightly colored walls, and creative fencing to define the boundaries of several outdoor rooms. Gimbel’s designs for his clients are careful and meticulous. Not so when it comes to his own. 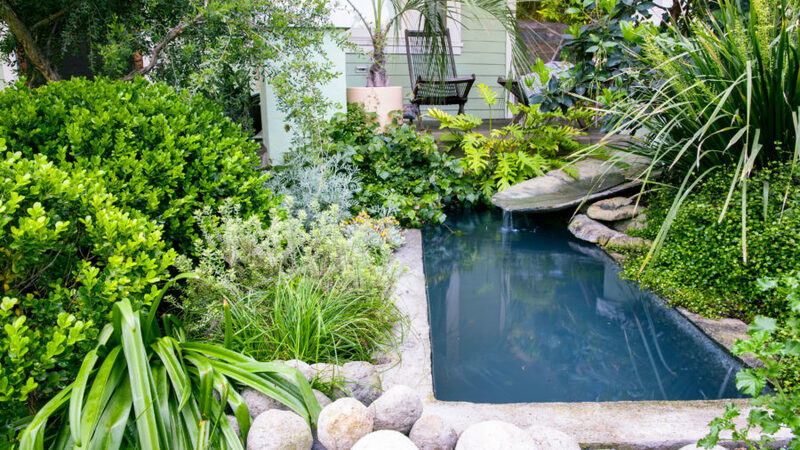 “When I decided I wanted a pond in the front,” he says, “I went outside with a shovel and started digging.” The water feature brings into the garden wildlife such as house finches, black phoebes, northern mockingbirds, bushtits, and tons of hummingbirds. When Gimbel first moved in, the backyard was a giant open space. He knew he wanted a seating area, but not one that felt lost in the landscape. He worried, though, that screening would feel claustrophobic. “That’s when I came up with these voids,” he says of the negative space and cutouts in the dividing wooden screen. 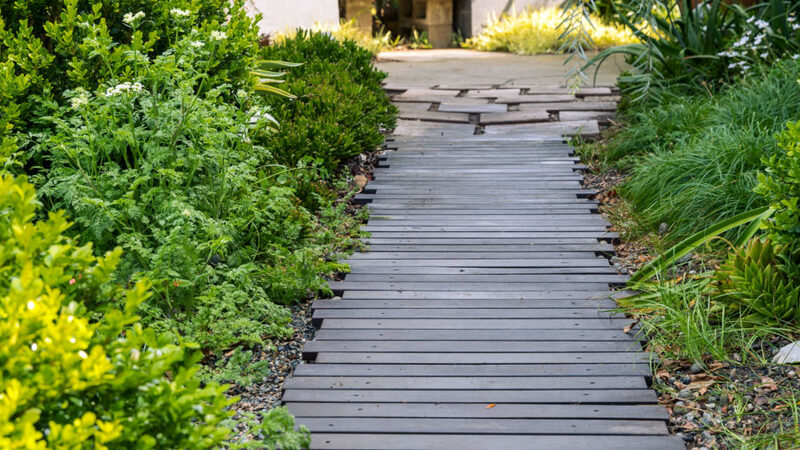 A front-yard boardwalk made up of mostly slats of ipe wood gives the garden a sense of journey that Gimbel loves. 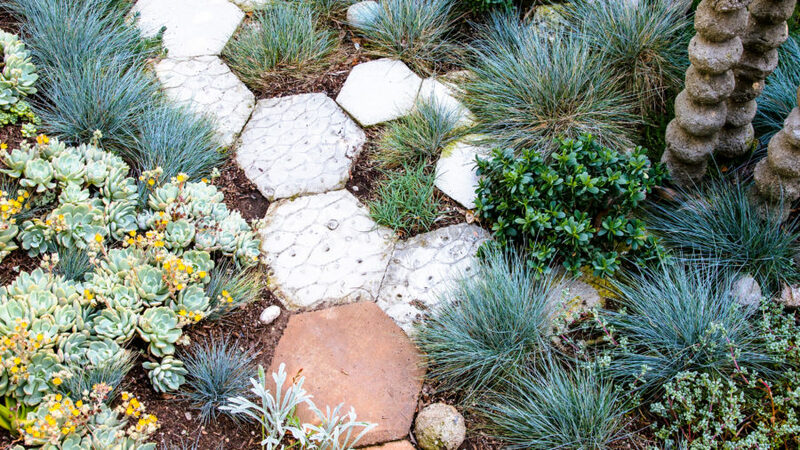 in concrete mulch, covering ground and suppressing weeds while allowing water to permeate. “I’m obsessed with hexagons, period,” admits Gimbel. 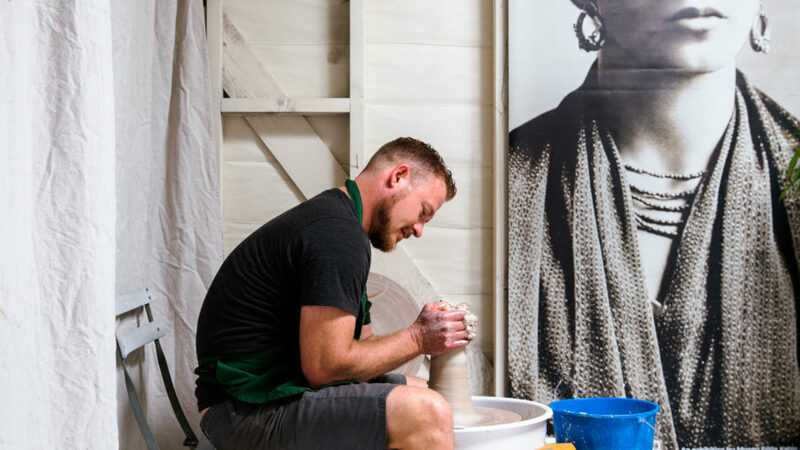 Homemade hypertufa towers add height and visual interest. 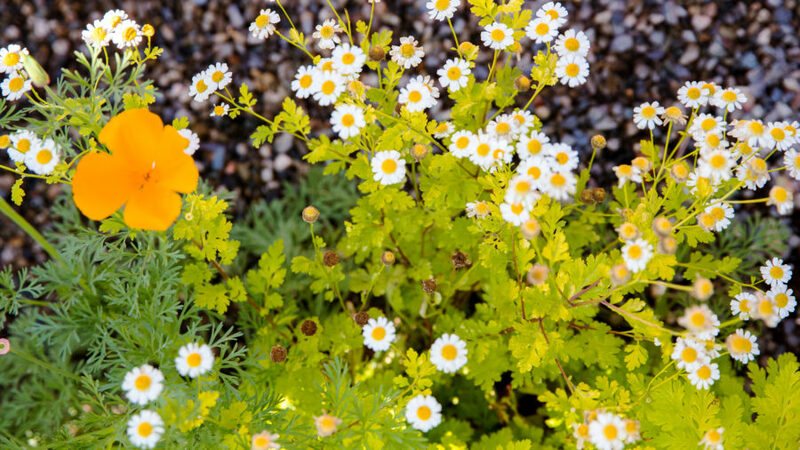 These plant varieties and combinations from Gimbel’s yard pack a punch but are also tried and true. A go-to plant is Festuca glauca ‘Elijah Blue’ for its ability to fill in spaces with a soft, fuzzy texture. 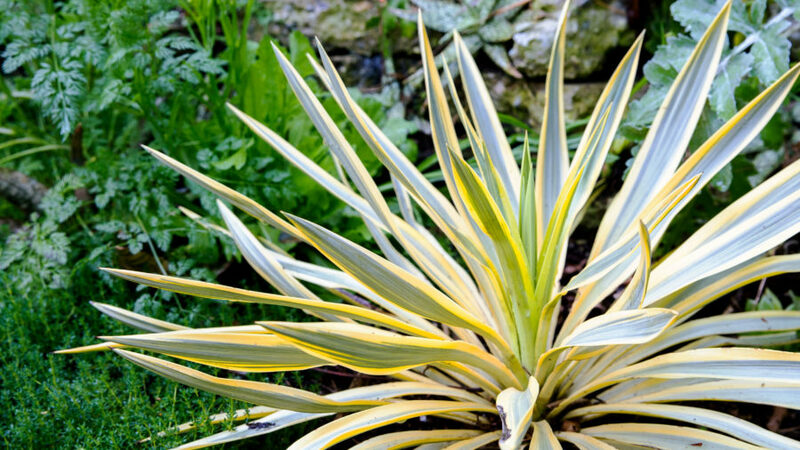 Pair the vibrant yellow margins of a ‘Bright Star’ yucca with a bed of evergreen Frankenia thymifolia. 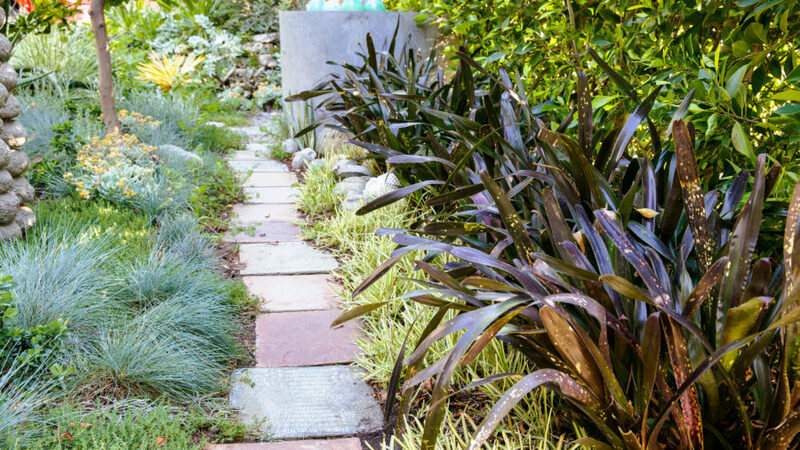 For tough spots, use Billbergia ‘Hallelujah’, a purple bromeliad with light speckles and splotches, for its ability to withstand drought, wind, and shade. 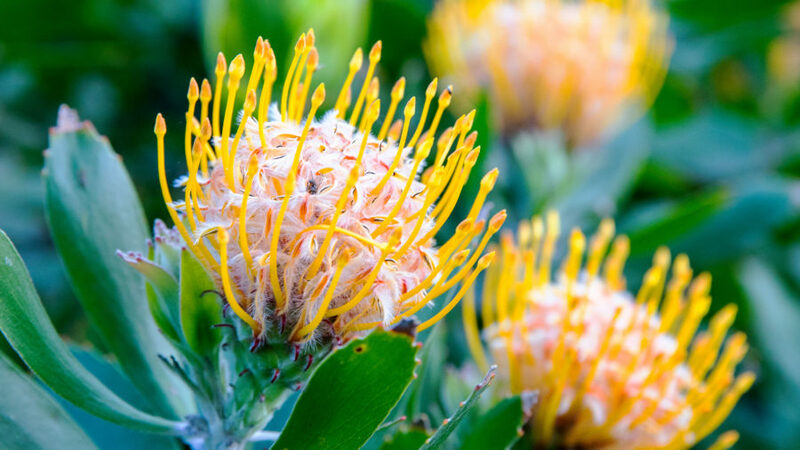 Leucospermum ‘Veldfire’ bursts into orange pincushion flowers every spring. Be warned, though, that bloom time is relatively short.